Aside from beautiful faces of Cebu and the sweet smile of its people, Cebu is a hub of perfect melody. The province of Cebu is home for handcrafted guitars, an industry that adds more musical flair to its rich culture. Throughout the Spanish period, the gitara or kitara (from the Spanish guitarra) is believed to have been first manufactured in Cebu. The guitar industry started when the Spanish friars assigned in Cebu needed to repair the guitars they were using. Instead of waiting for the guitars to arrive from Mexico, they commissioned the townspeople of Opon village in Mactan Island to make new guitars and repair the existing guitars they had; thus began the guitar industry in Cebu. Pioneering guitar industry in Cebu that eventually became a family affair are the Alegre and Malingin families. With their excellent luthiers, the guitars of Cebu are known both locally and internationally as world-class quality guitars. These hand-made guitars are commonly made of soft and hard woods like jackfruit, narra and black wood ebony. Designs in every handcrafted guitars ranges from simple to intricate decors such as inlaid shell crafts. Buyers can also customize their guitar according to their own preferences. It is said that because of the exquisite craftsmanship of the artisans to each guitar, Cebu’s handmade guitars produces melodious tune. 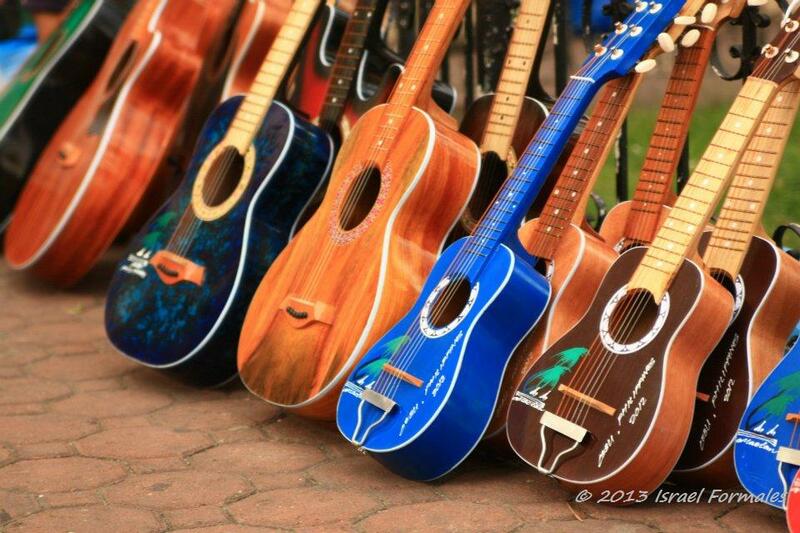 In addition to guitars, other string instruments are also manufactured in Cebu such as ukuleles, banjos, and mandolins. Today, Cebu’s guitars are still in demand both by local and international clientele. If you enjoyed these bits of information, make sure to subscribe to my mailing list to read my latest blog straight from your inbox. Or, follow me on Facebook or Instagram to know my newest escapades. Feel free to email me or comment below. Awesome guitars. How might a dealer get some? Indeed!thank you for dropping by…you can check this website if you’re interested to get one.